CT Plus in Waltham Forest was established by HCT Group in 2004 to provide a dedicated transport service for children with special educational needs under contract to the London Borough of Waltham Forest. In 2011 we successfully retained our contract to deliver these services and have expanded our range of provision. SEN School Transport: The mainstay of our operation in Waltham Forest is to ensure that children and young people with Special Educational Needs in the borough can get to school on time in safety and comfort. Adult Social Services Transport: We provide transport for older people and people with disabilities to take them from their homes to day centres and other activities, helping to support their independence. 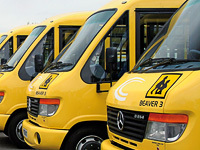 Accessible Coach Hire: We provide an affordable, reliable coach hire service including fully accessible vehicles.